I think one thing Ms. Hockenberry perhaps missed is that a vast majority of us support the school district regardless of the referendum, there are just details about the referendum that we disagree about. For some it is location, others it is Dr. Howard, and a whole bunch of other reasons are thrown in the cart. A recent twitter thread evolved into a sort of a challenge, calling folks to get together and hammer this thing out; Park district, city council, MTD, CCRPC, the YES Committee, those who voted “no”, UIUC students urban planning, LA, ARCH, NRES…. I am sure we could pile on more. Obviously, we should have done this two years ago. But here we are. I don’t know how else to say this, but perhaps we should in a sense just shut up about it and start “doing”. For those that support the referendum but are willing to look at other options, can we open up the box and think about sites that are smaller than 47 acres? For those that opposed the referendum, find a site that works and meets all the needs of the district (sans 47 acres). Pattsi has one idea that we need to flesh out a bit more. Others have re-suggested Spalding/Judah. It is not enough to say that Interstate Drive is bad for this and that reason; we need to go beyond that and come up with a real, practical solution. And we will have to compromise – it has been said a bajillion times “there is no perfect site.” So we need to prioritize and figure out what we really need. What are the non-negotiables? We have to be willing to give up some things, on both sides of the fence, to focus on what is really important. 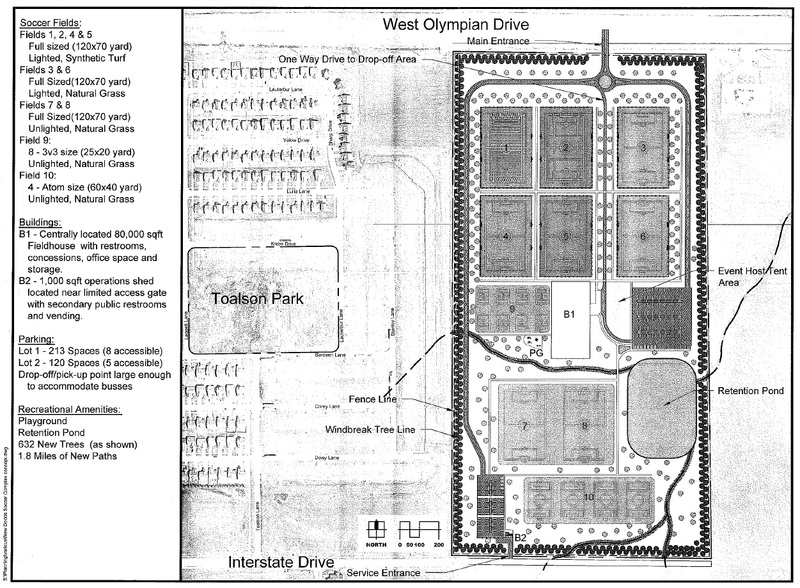 What would Interstate Drive look like ….. with soccer fields? 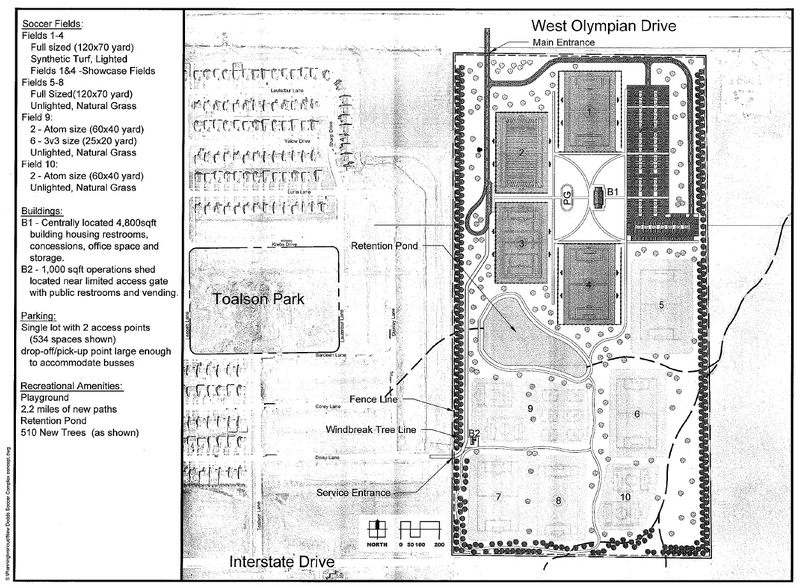 Via FOIA, I have received a copy of plans for soccer fields at Interstate Drive. The most interesting aspect to this is that the plans are dated June 5th, well after Unit 4 publicly announced plans and filed paperwork to purchase said lands. Obviously, these plans do not have any room for a high school on them. I would love to get an explanation for this and I will be asking the park district board for any details they are willing to spill.